18 Nov 2015 So it's been a while since I've posted here. I've been busy looking after family and trying to get back into boxing and health recently. 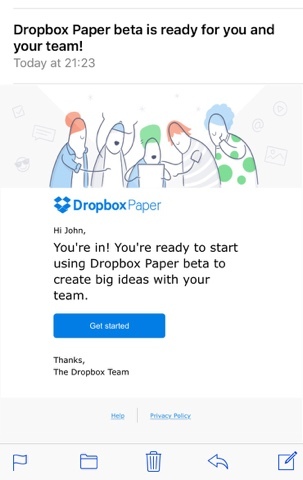 Dropbox have given me access to the beta program Dropbox Paper. So hold tight for a review soon. I'll try and do a better review than my last techie review which i think was an Amazon AWS review.